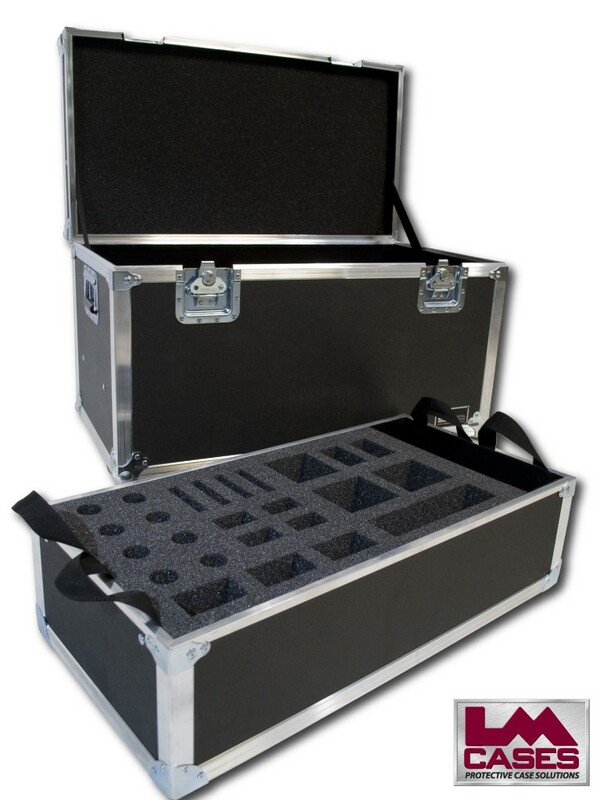 This case was built using our Econo #2 design. The case features a removable tray with a custom CNC cut foam insert to hold 8 Shure SM57/58's, 3 Shure Beta98's, 4 Shure Beta91's, 1 Shure Beta 52, 2 Sennheiser MD421's, and 4 Radial JDI's. 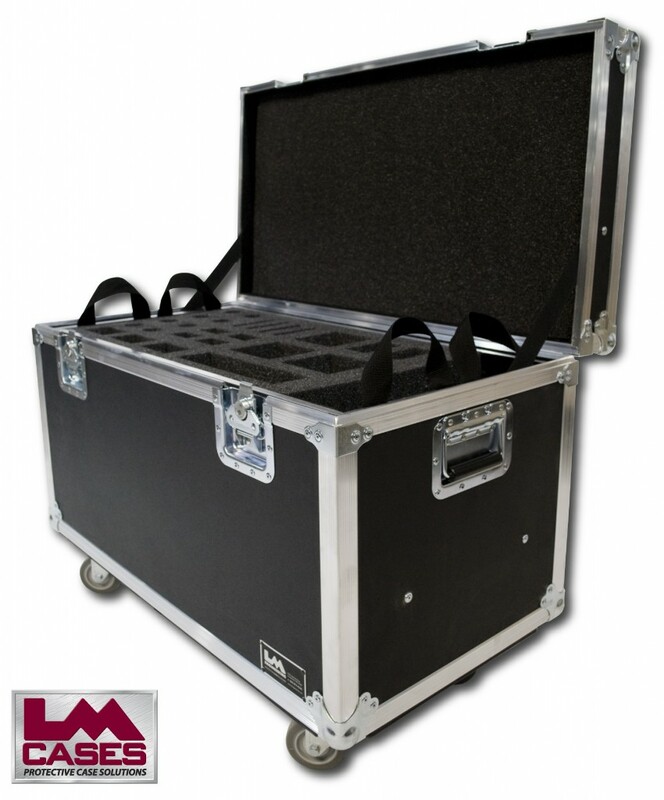 The case is built out of 3/8" plywood and features 3.5" casters.